PAINWeek has a pulse, and it is palpable. In 2018, over 2000 attendees assembled to create the largest US pain conference. PAINWeek is more than a conference. It is an experience. Promote your company to pain management practitioners. Exhibit and Sponsorship Prospectus: Promote your company to pain management practitioners. Click here to view exhibitor and sponsorship opportunities. Extra Exposure Catalog: Click here to view the Extra Exposure Catalog. Call for Satellite Events: Reach practitioners with an interest in pain management. 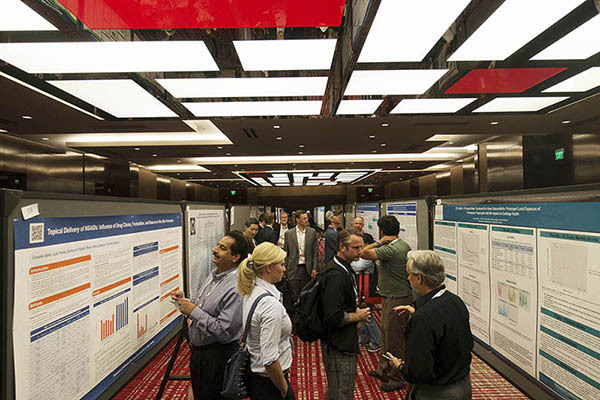 Call for Abstracts: Submit your abstract for the poster presentations. Corporate Events: Take advantage of PAINWeek to host your corporate events! Center for Pain and Stress Research Ltd.
GoHealthcare Consulting and Business Development, Inc.
Reach the Largest Audience of Frontline Pain Practitioners with an interest in pain management! Deadline for submission of applications is May 3, 2019. We invite proposals for certified CE/CME activities and noncertified promotional programs for the national conference. We expect 2,400+ healthcare professionals assembled for the largest US pain conference for frontline practitioners. Click here to view the Satellite Events Planning Kit. Both types of programs are available all five days of the conference (September 3-7) and are held during breakfast, lunch, and dinner. 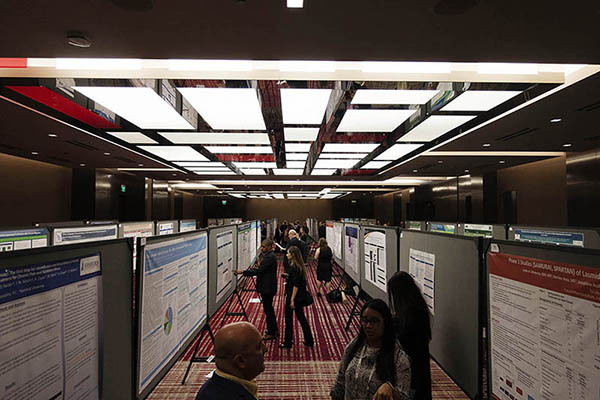 Sponsors may choose to provide a learning session, showcase, or demonstration of timely and relevant material, including new therapies, devices, and clinical tools. Click here for the PDM FAQ. Click here to view the PDM (non-CME) event application. 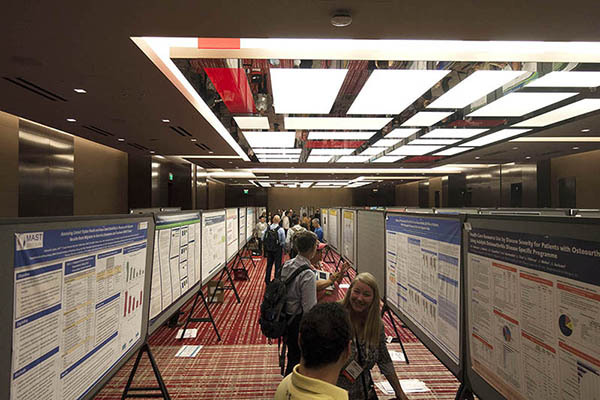 PAINWeek invites you to submit abstracts for posters to be presented at the PAINWeek 2019 National Conference. Plan now to have your poster included! The abstract submission system will officially open in Spring. Please review the guidelines below. Take advantage of PAINWeek to host your corporate events! Corporate events, whether business or social functions, are defined as those that are intended for corporate members only. They may include, but are not limited to, business meetings, focus groups, interviews, team building exercises, receptions, training, and other related activities. Corporate events will not be listed in the onsite program guide, on the painweek.org Web site, or any other official publication or signage. Please contact us to discuss your needs and venue options. Any event hosted anywhere in Las Vegas involving PAINWeek conference healthcare professional attendees during the dates of PAINWeek, is considered a PAINWeek event and must be preapproved by PAINWeek. PAINWeek National Conference will again take place at The Cosmopolitan of Las Vegas on the Las Vegas Strip. The Cosmopolitan’s spacious Reception Suites are ideal for almost any type of gathering, from morning meetings to late-night parties. Each suite has 1050 square feet of space with comfortable seating that can be easily configured and reconfigured. An oversized kitchen area contains a full-size Sub-Zero refrigerator, microwave, and is stocked with the necessary bar and glassware. Please direct all inquiries to Redza Dempster: (973) 415–5110 or rd@painweek.org. Inquiries made directly to The Cosmopolitan will be referred back to PAINWeek. To view an information sheet on a reception suite, click here. The 15 restaurants located at The Cosmopolitan of Las Vegas are also available for event organizers to host their corporate events. Please direct all inquiries to Red Dempster: (973) 415–5110 or rd@painweek.org. Inquiries made directly to these restaurants will be referred back to PAINWeek. A wide range of opportunities are available for advertising and sponsorship support. PAINWeek understands and appreciates the value of your participation, and we will work closely with you to maximize the impact of your amenity or event. Most of the sponsored events and amenities listed on the pages that follow can be custom tailored to meet your requirements. If you are interested in supporting something that is not listed herein, please feel free to contact us. We welcome suggestions that improve the PAINWeek experience for both our attendees and our sponsors. Frequently asked exhibitor questions answered. Is it possible to sponsor more than one amenity? Yes. Additional sponsorship is on a first-reserved basis, and sponsors may choose from a variety of opportunities. If my company supports a satellite symposium, do I automatically become a diamond/platinum/gold corporate benefactor? While PAINWeek appreciates your support of a satellite symposium we consider a corporate benefactor sponsorship to be separate. However, Diamond Sponsors will receive a $15,000 discount on their sponsorship fee when they combine with a PAINWeek PDM Program offering. All satellite symposia supporters are given recognition in our program guide. If my company sponsored an amenity last year, can we sponsor it again this year? Yes, you are given the first right of renewal/refusal. If another potential sponsor indicates an interest in the amenity you sponsored in the previous year, we will notify you of their intent and allow you the option to continue your sponsorship for the current year.